In a medium sauté pan, over medium low heat, add the extra virgin coconut oil. Add onions and celery and cook until they are soft but not browned, 10 – 15 minutes. Combine the ground meat, eggs, coconut flour, tomato paste, herbs, aminos, and nutritional yeast, if using. Add the onions & celery. Mix well. Place in the 9 x 5 baking pan. Spread the tomato paste evenly on top. 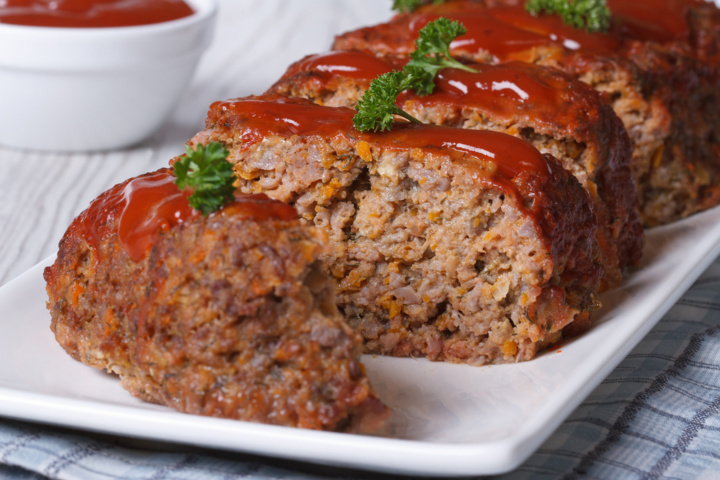 Bake for 1 1/2 hours or until the internal temperature reaches 160º F. (You can put a pan of hot water in the oven under the meatloaf to keep the top from cracking.) Remove from oven and allow to cool for 10 minutes. Slice and serve hot. It’s also delicious as leftovers in a sandwich or wrap.